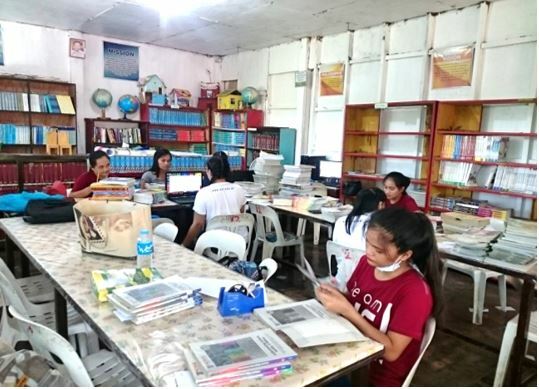 The University of Saint Louis (USL) librarians conducted an outreach activity last Sept.1, 2018 at St. Francis Academy (SFA) Library in Rizal, Cagayan to help the library-in-charge in said school organize their collection of books based on the standards of cataloging and classification. The activity was spearheaded by Mrs. Arlyn Cristobal, Elementary Library head, with Mrs. Michelle Abella, High School Library head, as co-leader. 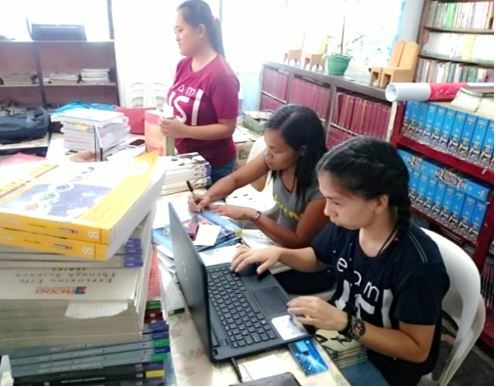 Ms. Gladys Requimin, Junior High School circulations librarian, Ms. Mary Angelique Baylon, Elementary librarian, and three Bachelor of Library and Information Science (BLIS) students assisted in the event. The librarians also conducted library beautification and an orientation on accessioning books, cataloging and classifying using standard tools, and preparing catalog cards. Samples of the outputs were given to the SFA library-in-charge, Ms. Monalisa Gundan, to serve as her basis for the continuity of organizing their school library collection.